petition: Demand strict laws in Cincinnati for tethered dogs left in bad weather! Demand strict laws in Cincinnati for tethered dogs left in bad weather! Recently there has been talk (in Cincinnati and surrounding area) about dogs tied or left outside in bad weather. With that being said Cincinnati has no laws to protect them from being tied out in bad weather (cold or hot temps.) That isn't ok! Currently as long as they have some kind of food and make-shift shelter they can be left in the weather for untold time limits. Its getting very cold out as the winter sets in. I want to bring together the community against this cruel behavior of leaving dogs tied! I have lived across the street from a man who left his dogs tied outside all year round. One dog nearly hung on his chain a few times and would have choked to death had I and members of my family not untangled him. He and the other dog also would have starved if we hadn't fed them. 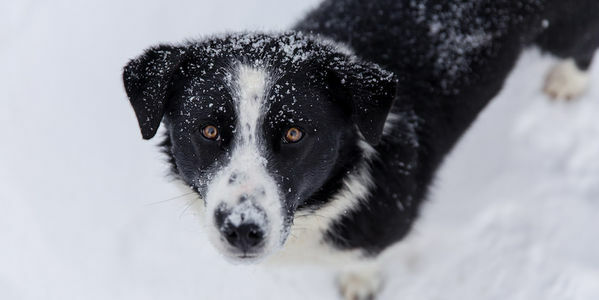 Even with an unheated shelter dogs can get hypothermia or frostbite when left outside in freezing weather. We need a law limiting how long an animal can be tied outside with minimal shelter in extreme weather conditions. I suggest the law be no more then 6 hours a day for dogs with shelter. 2 hours at a time with no less then 1 hour in between tethering. For dogs without shelter i suggest we make it even more strict. With it being tied no more then 4 hours a day. No more then 1 hour at a time and with at least 1 hour in between tetherings. With a standard law being implemented for non bad weather conditions. Which i suggest be no more then 8 hours a day in intervals of no more then 3 hours at a time. With food and shelter provided. Also strictly no long term (1 hours or more) tethering without food or shelter. Please help the voiceless! Sign and share make Cincinnati safe for the voiceless. Take a stand against this cruelty!